Junior Academy Player Soccer Camps follow a three-hour, four-day format, designed to meet the developmental demands of players aged 6-9 years of age who are currently playing in or aspiring to be in youth academy programs. This new training program addresses the challenges faced in academy development and rapidly advances the skills and creative ideas of young players. The training curriculum is based on the Advanced Player Development Model. 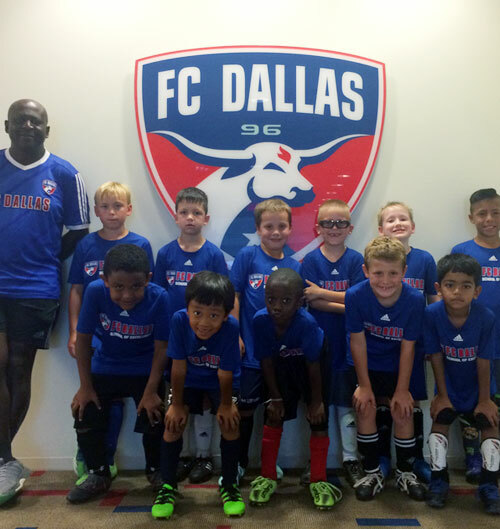 Each participant will receive instruction from FC Dallas professional staff coaches who specialize in youth development. Program discounts (excluding Winter Mini Camps) are available for members of FCDY, siblings & groups/teams of 6 or more. Please cclarke@fcdallas.com to verify discount codes.